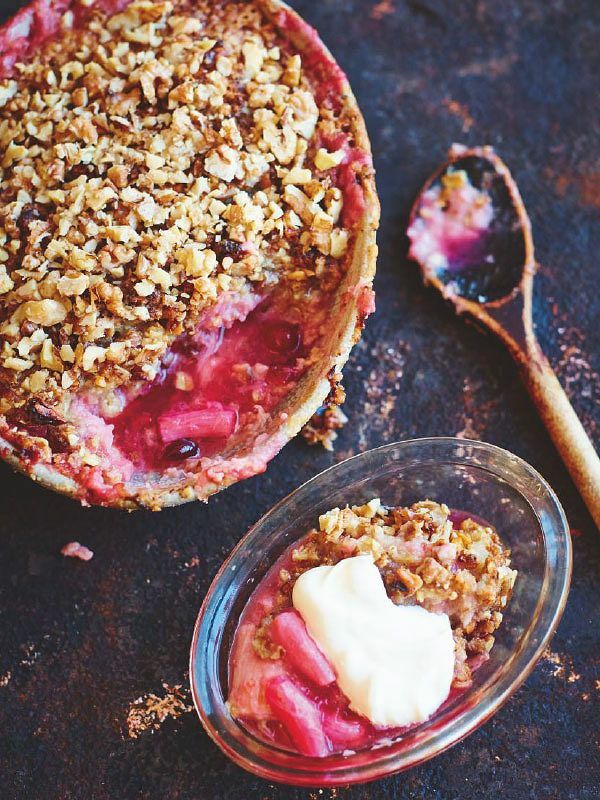 This collection of recipes celebrates the wonderful winter fruit that is rhubarb, just in time for the arrival of rhubarb season. With its vibrant colour and unique flavour that brings both sweetness and acidity to a recipe, rhubarb is one of those ingredients that brightens up any dish. 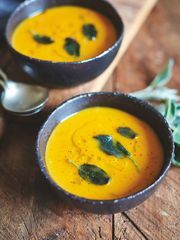 Feast your eyes on the recipes below, taken from some of our favourite cookbooks, and be inspired to make something delicious using this beautiful seasonal ingredient. 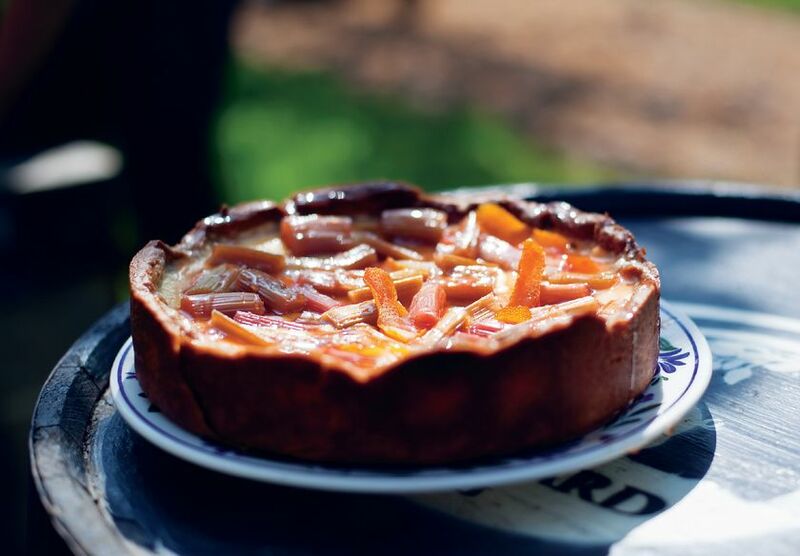 Rick Stein credits the esteemed Chez Panisse restaurant in California for this Rhubarb Galette recipe, which you can find in his cookbook Rick Stein: The Road to Mexico. 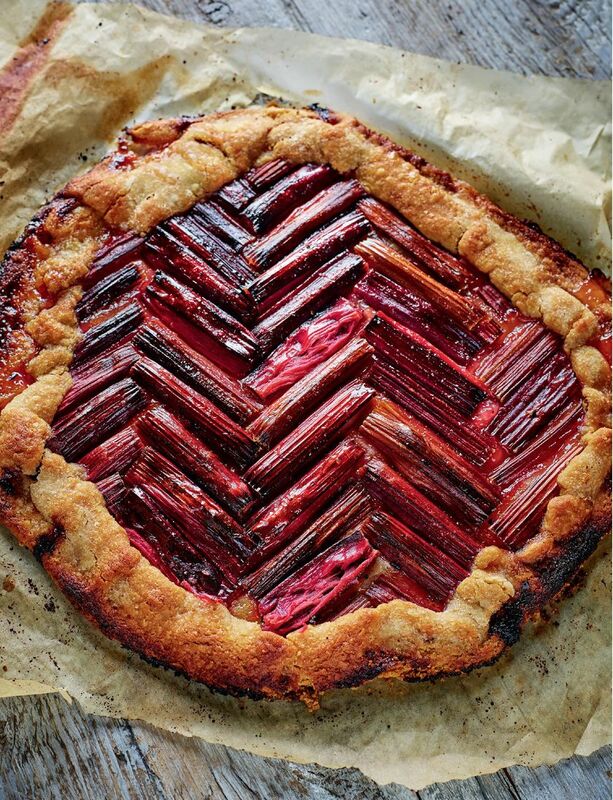 The classic galette is made with a deliciously buttery pastry, but rhubarb is the real star of the show and this recipe is a lovely way to highlight its fabulous flavour. 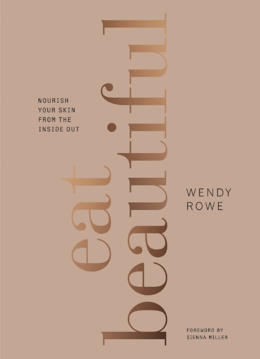 For a lighter take on a traditional pudding, try Wendy Rowe's Gluten-free Rhubarb Crumble from her cookbook Eat Beautiful, which focusses on looking after your skin (and general wellbeing) through eating delicious, wholesome food. 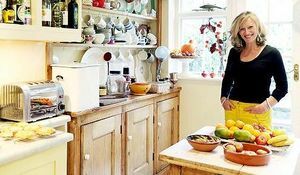 This gorgeous crumble recipe uses rich, creamy walnuts for the topping and Wendy suggests adding a dollop of crème fraîche for the perfect finishing touch. 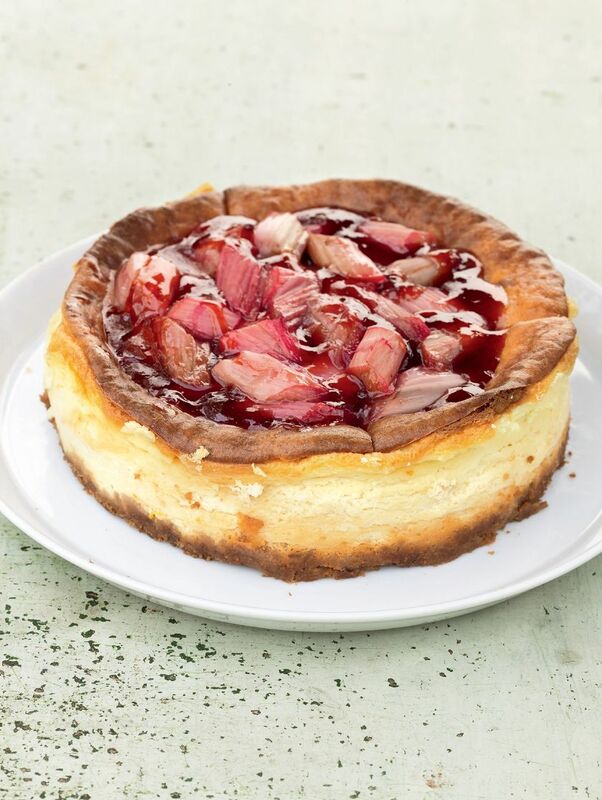 This Yorkshire Pink ‘Champagne’ Rhubarb Cheesecake from Great British Bake Off: Big Book of Baking is a showstopper of a cheesecake if we ever saw one. The rhubarb adds just the right amount of freshness to the rich and decadent cream cheese filling, and note that the recipe calls for young pink rhubarb stalks, which are sweeter than thick long green ones, to capture this lovely fruit at its sweetest. 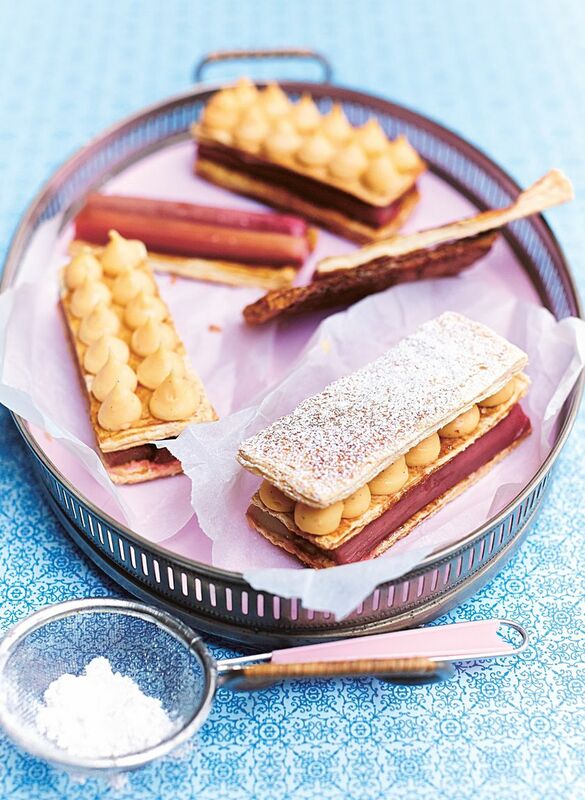 If you're feeling fancy, Rachel Khoo's Rhubarb and Custard Millefeuilles from Rachel Khoo's Kitchen Notebook are an exquisite treat and a great way to practice your pastry technique. 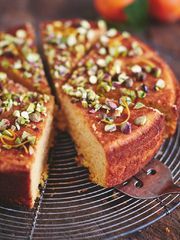 The recipe is easy to follow and the results are guaranteed to impress anyone lucky enough to be invited for tea. A sweet Rhubarb and Custard Pie from Pieminister: A Pie for All Seasons is a comforting and nostalgic dessert that blends the classic couple that is rhubarb and custard with a hint of orange zest and vanilla for added depth of flavour. 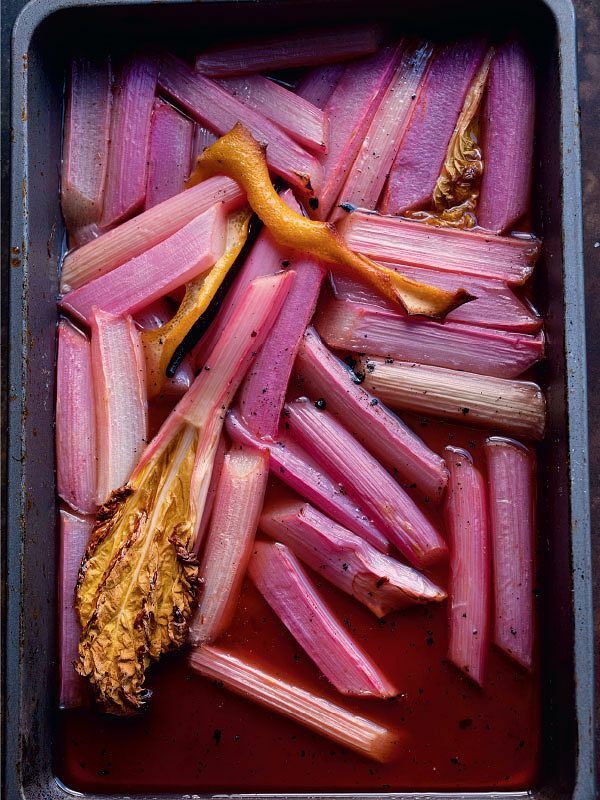 For the purists out there, try Yotam Ottolenghi's Baked Rhubarb with Sweetened Labneh from his celebrated cookbook, Plenty More. 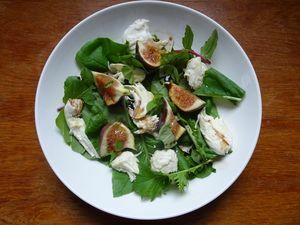 It's a straight-forward recipe that highlights the delicious flavour of the fruit that you can get simply from baking it in the oven, and pairing it with some wonderfully creamy sweet labneh that's easy to make at home. 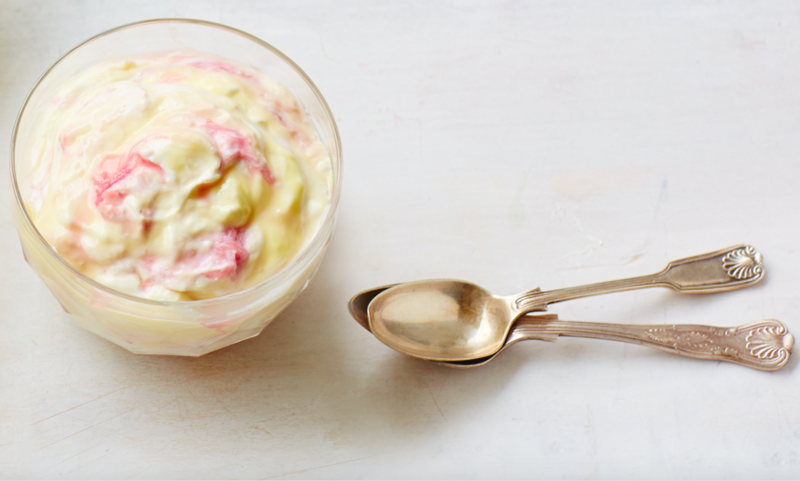 Pretty in pink, this delicious Rhubarb and Custard Fool found in Step by Step Desserts is a delicate dessert that still feels indulgent: an irresistibly creamy vanilla custard brightened up with soft swirls of rhubarb. 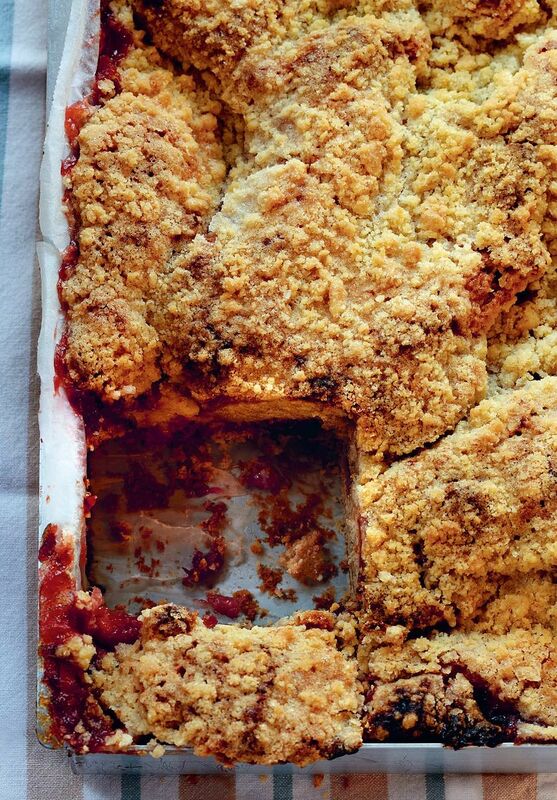 We're hopping across the pond with this classic American Rhubarb Strawberry Coffee Cake from Baked in America. While our American counterparts might consider this the perfect accompaniment to a mid-morning coffee, we also love it with a pot of tea as an afternoon treat. 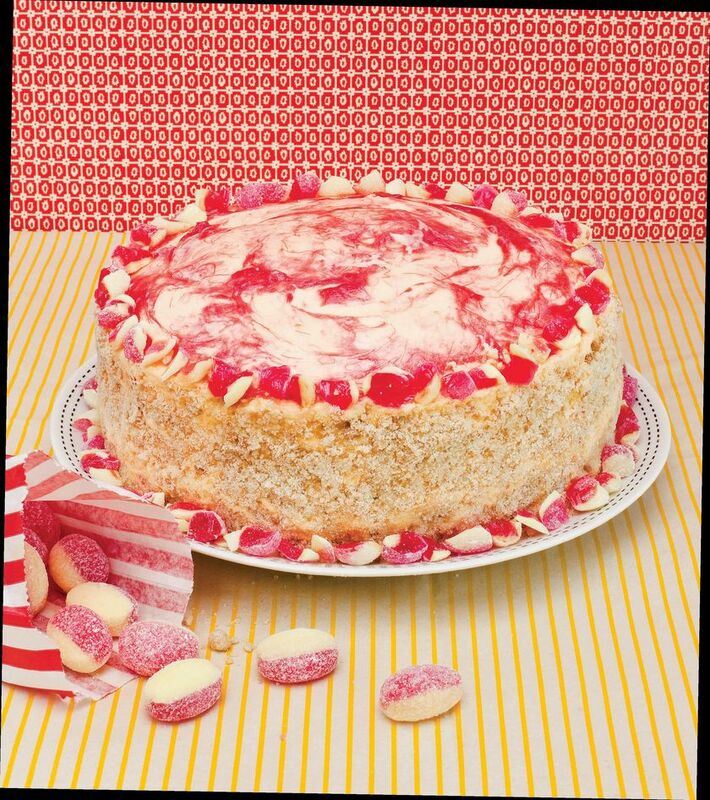 This Rhubarb and Custard Cake from Ms Cupcake: The Naughtiest Vegan Cakes in Town is serious eye candy, and the flavours will take you right back to childhood memories of the classic boiled sweet. 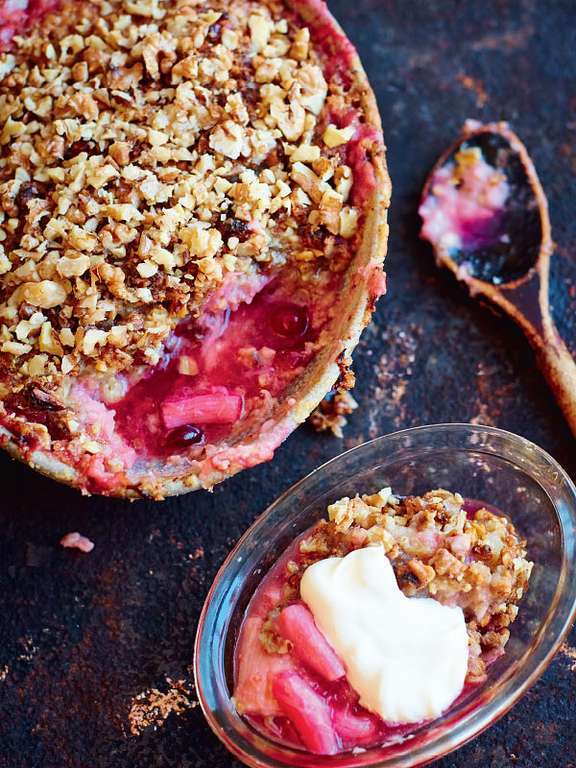 This vegan recipe is ideal for special occasions, and it actually calls for tinned rhubarb so this is one you can make year round. 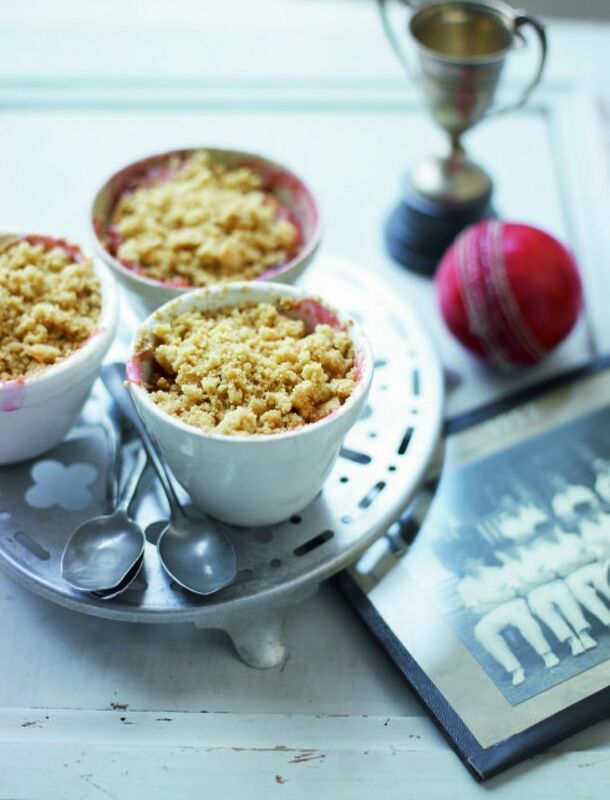 Keep things classic with this unbeatable recipe for Rhubarb Crumble from The Pudding Club's Great British Puddings cookbook, which can be served in individual ramekins for a lovely dinner party dessert. 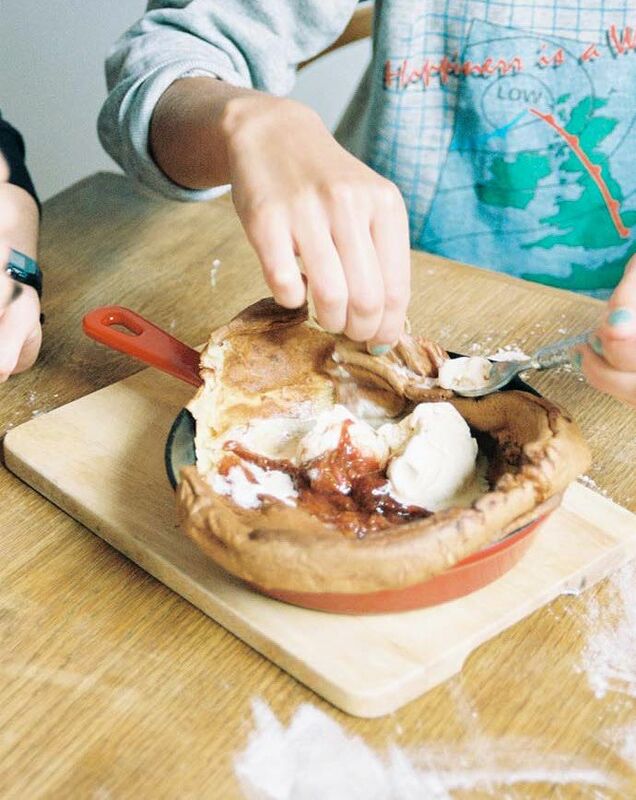 Ruby Tandoh goes Dutch with her inventively-named Harry Styles's Dutch Baby with Cinnamon Rhubarb from her cookbook, Flavour. This soft and pilowy pancake is served with a tangy rhubarb compote and ice cream, and makes a decadent dessert or a seriously indulgent brunch dish. Who's the author? Wendy Rowe is a world-renowned beauty and make-up expert who has worked for the likes of Burberry and many top celebrity clients. 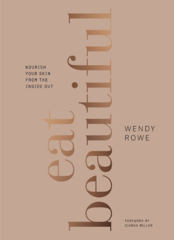 Want to know what it's like to cook from Wendy Rowe's Eat Beautiful before you buy the book? 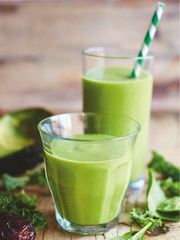 A team from The Happy Foodie have been testing out the book that claims to unlock the secrets to better skin. As devotees of every cookbook ever released by the inimitable Yotam Ottolenghi, The Happy Foodie could not be more excited for the release of SIMPLE, his latest collection of recipes dedicated to making those unparalleled Ottolenghi flavours accessible and achievable no matter how skilled you are in the kitchen or how much time is at your disposal. We caught up with Tara Wigley, who wrote SIMPLE with Yotam, to find out more about the book.